Sarah Lund is looking forward to her last day as a detective with the Copenhagen Police department. She is supposed to move to Sweden with her fiancee, but everything changes when a 19-year-old student, Nanna Birk Larsen, is found raped and brutally murdered. Along with detective Jan Meyer, Sarah is forced to be ahead of the investigation, as it soon becomes clear that Lund and Meyer are chasing a very intelligent and dangerous murderer..
TV's most addictive crime series returns for another season of slow-burn suspense and gripping drama. In Season Two, homicide detectives Sarah Linden (Emmy nominee Mireille Enos) and Stephen Holder (Joel Kinnaman) resume their investigation into the murder of a Seattle teenager, only to discover it may be part of a larger, more explosive conspiracy. As the case unfolds, it triggers shocking revelations and stunning twists that will keep.. Following on from the BAFTA award-winning The Killing; It’s been two years since detective Sarah Lund (Sofie Grabol) was stripped of her investigative role and transferred to a low-key job in the country; but when the body of a female lawyer is found murdered in macabre and puzzling circumstances, Lund’s former boss Lennart Brix calls her back to assist with the investigation. Initially reluctant, Lund soon changes her mind as she becom.. 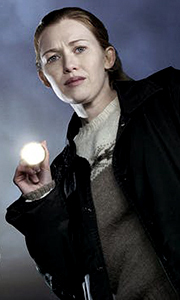 Season three begins one year after the close of the Rosie Larsen case (the focus of The Killing's first two seasons) with Sarah Linden (Mireille Enos) no longer working as a Seattle homicide detective. But when her ex-partner Stephen Holder’s (Joel Kinnaman) search for a runaway girl leads him to discover a gruesome string of murders that connect to a previous murder investigated by Linden, she is drawn back into the life she thought sh..
Detective Inspector Sarah Lund (Sofie Grabol) returns in the long-awaited third and final series of The Killing (Forbrydelsen) Trilogy. What appears to be a random murder at the Copenhagen docks draws attention towards the shipping and oil giant Zeeland, run by billionaire Robert Zeuthen. Meanwhile Sarah Lund is disturbed by an old flame, Mathias Borch, from the National Intelligence Service (PET) who fears that the killing in the docks..
One of television’s most suspenseful series ever comes to a powerful, thought-provoking close in this fourth and final season. As Detective Linden (Mireille Enos) and Detective Holder (Joel Kinnaman) struggle to manage the fallout from their rash actions at the end of last season, destroying evidence that would implicate Linden in the crime, they are assigned a new case. The two must resolve a case involving the horrifying slaying of a .. The Complete First Season: The Killing ties together three distinct stories around a single murder including the detectives assigned to the case, the victim's grieving family, and the suspects. Centering around the murder of a young girl in Seattle it becomes clear that there are no accidents; everyone has a secret, and while the characters think they've moved on, their past isn't done with them. The Complete Second Season: The investig..
Own The Killing Seasons 1 to 4 Complete Collection DVD from Deff, DVD, Blu-Ray & 4K Video Specialists - Free UK Delivery.. The complete three seasons of the Emmy-nominated Danish crime drama created by Søren Sveistrup. In the first series, Detective Inspector Sarah Lund (Sofie Gråbol) is all set to emigrate to Sweden but her plans are put on hold when the police investigation into the murder of a young girl in Copenhagen turns out to have implications in high places. Each episode chronicles a single day in the investigation, which gradually brings a tangled..
Own The Killing Season 2 DVD from Deff, DVD, Blu-Ray & 4K Video Specialists - Free UK Delivery.. Season three begins one year after the close of the Rosie Larsen case (the focus of The Killing's first two seasons), with Sarah Linden (Mireille Enos) no longer working as a Seattle homicide detective. But when her ex-partner Stephen Holder's (Joel Kinnaman) search for a runaway girl leads him to discover a gruesome string of murders that may connect to a previous murder investigated by Linden, she is drawn back into the life she thoug..
Own The Killing Season 4 DVD from Deff, DVD, Blu-Ray & 4K Video Specialists - Free UK Delivery..